This sends Workflow members a set of GatorMail campaigns (one campaign each time they enter the stage). 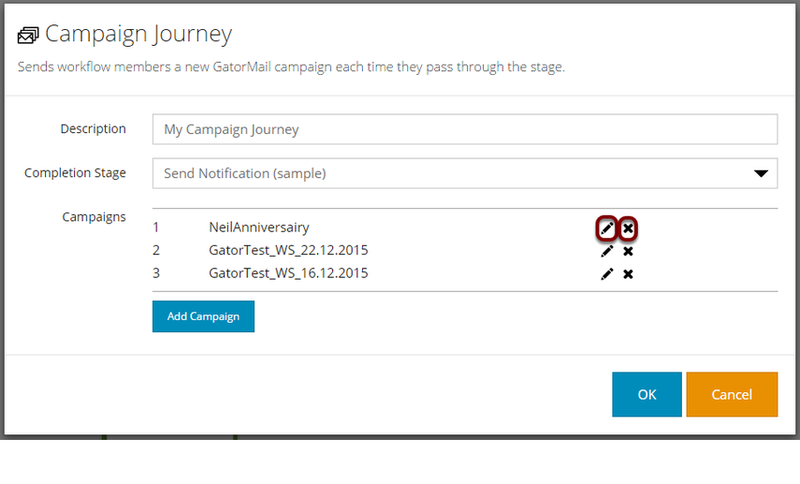 The Campaign Journey stage keeps track of which campaign the member was last sent and sends the next in the list each time that they enter the stage again. 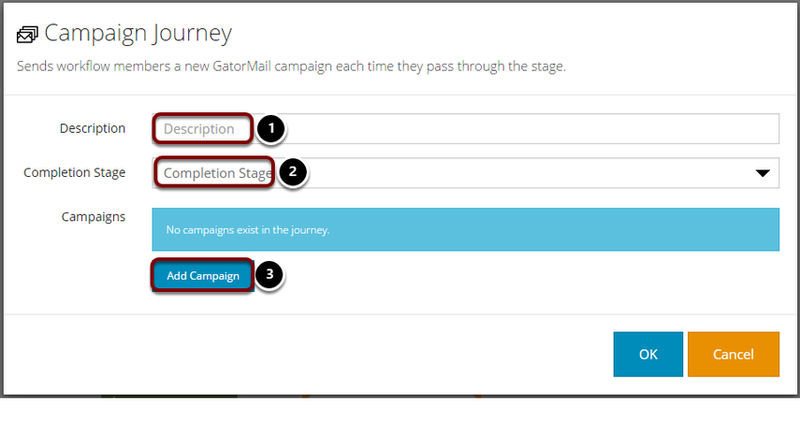 If the member has been sent all campaigns in the journey they are sent to a specified stage, known as the 'Completion Stage'. The screen below is displayed on dragging the campaign journey stage to the canvas. After clicking 'Add Campaign' the above screen will appear. Repeat this step for each campaign you would like to add to the journey. All the campaigns added to the stages are shown on the screen. You can go back and edit them by clicking on the pencil icon. Click 'OK' to save the stage. Why isn't my test email going through the Workflow?